You may have heard the word OLLI and wondered if it was the latest fast food place in Irvine. Or, perhaps the title of a popular new book. Or a new singing sensation. Well, interesting guesses aside, OLLI is an acronym for Osher Lifelong Learning Institute — an amazing Irvine cultural treasure. Bernard Osher, a resident of San Francisco, was interested in education for the “more mature” among us — in other words, older people. So, Osher generously founded and funded what has become a truly remarkable organization, the aptly named Osher Lifelong Learning Institute. Here in Irvine, in 1997, a small group of mature learners collaborated with UCI’s Division of Continuing Education to form the Academy of Lifelong Learning. Connected to the University, with access to outstanding faculty presenters, OLLI established and has maintained a reputation for consistently high-quality classes and presentations. Simply put, OLLI’s goal is to offer the community experiences and lectures that promote intellectual growth for senior citizens. In a continuing collaboration with UCI, OLLI provides a very wide range of educational opportunities in a variety of fields. Quality speakers volunteer their expertise for classes and lectures in Arts and Humanities, Science, Technology, Engineering & Mathematics, Social Sciences, as well as for special events and trips to all sorts of venues in Southern California. Maybe your interest is in what OLLI calls “OLLI Extras.” For example, there is a Spanish Club, a Mah Jong group, and Travel Talk, where you can share your latest travel adventures. There is also a group called Movie Talk, and the Gastronomers’ Group — for those “foodies” who want to share both dining-out and cooking adventures. In addition to classes and “OLLI Extras,” OLLI sponsors luncheons and speakers at the University Faculty Club on campus at UCI, sometimes coupled with a tour of one of the special UCI research facilities. While the age of OLLI members is generally over 55, some members are not fully retired. Many OLLI members have advanced degrees and multiple college degrees. As you might imagine, the lifelong learners attracted to OLLI include plenty of smart and interesting people. For more information on classes, fees, membership and enrollment, visit the OLLI at: www.olliuci.wordpress.com. 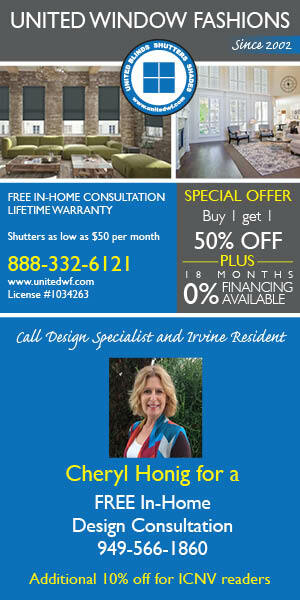 Or call: (949) 451-1403. Marilyn Vassos is a retired Irvine teacher and long-time resident and supporter of Irvine’s cultural arts. NextIrvine’s Election Can Protect Lives!